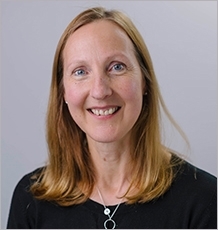 Lynda joined the University of Exeter Medical School in September 2018 as a Trial Manager on the HERO trial (Home-based Extended Rehabilitation for Older People). This is a randomised controlled trial to determine the clinical and cost effectiveness of the HOPE exercise programme. HERO is funded by the National Institute for Health Research Health Technology Assessment (NIHR HTA) and is led by Dr Andrew Clegg and colleagues at the Academic Unit of Care and Rehabilitation, University of Leeds and NIHR CLARHC South West Peninsula with Dr Vicki Goodwin as the Principal Investigator.